Sail Cargo is a re-emerging concept using traditionally styled sailing ships for emissions-free transportation of goods by sea. Modern sail cargo initiatives combine traditional skills and techniques but ships are also built to modern maritime safety standards. There are a number of projects around the world taking this concept forward as a way to help tackle climate change by reducing CO2 emissions from shipping. As well as traditional styled sailing ships (such as barques, brigantines, etc) innovative research is being done into use of wind power to propel or reduce fuel consumption from larger vessels such as container ships - an example being the 'Ecoliner' project. In a joint initiative with Fair Winds Trading Company, we are looking into the scope and feasibility for a sail cargo hub to be created on the Clyde - potentially with Govan Graving Docks being a key site for this as part of proposals we are developing for regeneration of the docks. The sail cargo industry could also present wider exciting opportunities throughout the Clyde Corridor to help ensure the region continues to be relevant to innovation in the maritime industry. We aim to explore this concept with a range of potential stakeholders in due course. The long-term objective is to establish the viability of developing a sail cargo ship build and repair facility, as well as a load/offload operation at Govan Graving Docks as a multi-stakeholder social enterprise venture. This would involve local groups, industry operators and marine engineering specialists. While the viability of Govan for sail cargo is yet to be demonstrated - it could offer a business and economic case for restoring dry docks to working order. This means in the short-medium term it is esssential to avoid any redevelopment of the graving docks that would prevent such an operation being accommodated in the future. 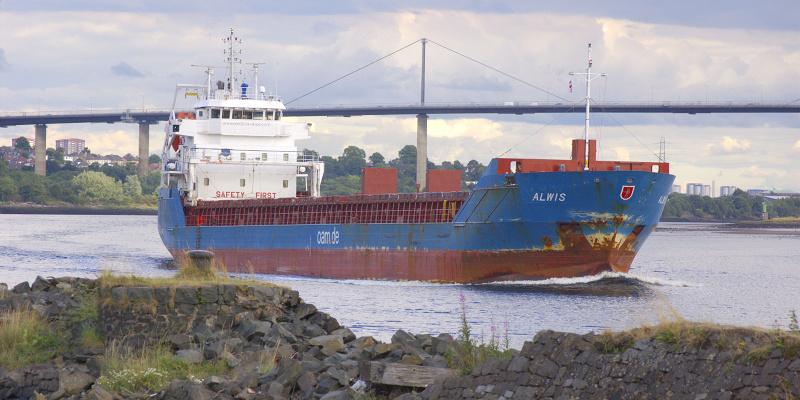 If sail cargo does indeed offer significant potential to contribute to development of a sustainable global shipping industry, then it could be important to the future of the Clyde as a maritime river that it can service and accommodate sail cargo operations.